The crossing from Palau to the island of La Maddalena takes 20 mins. by ferry. La Maddalena gives its name to the whole Archipelago which includes seven islands and several islets, gathered in a unique administrative unit. The islands are: La Maddalena , Caprera, Spargi, Budelli, S. Maria and Razzoli. 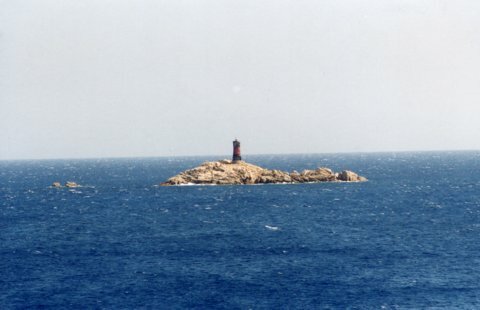 The islets are named: Porco,Pecora, Spargiotto, Berrettini, Corcelli, Piana and La Presa. They are all uninhabited apart from La Maddalena, with its strong and ancient fishing and sea-trade traditions which are the bases of its growth and development and have made of it a very important centre. This light can only be seen by boat. The ferry from Palau to Corsica goes close to the islet.